These are vintage plastic cabochons. 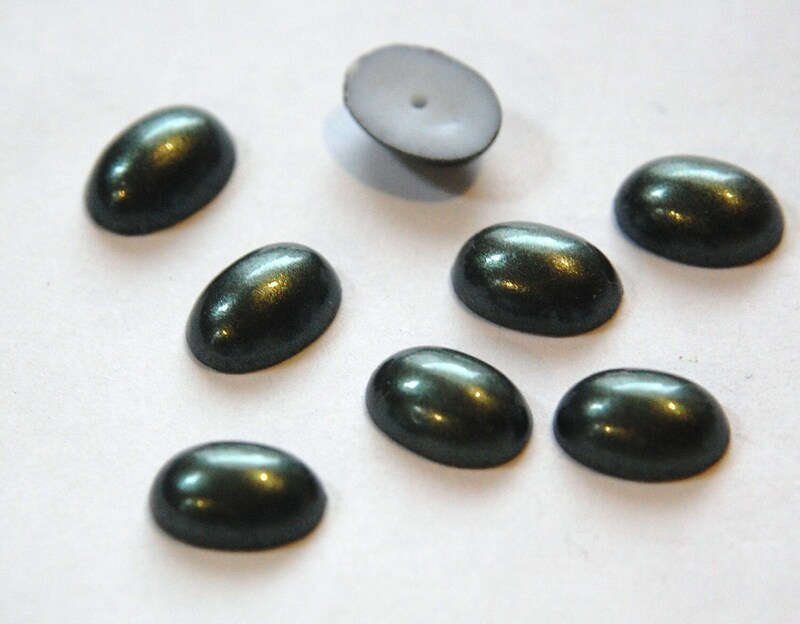 They are a dark green color that looks a little metallic and a little like a pearl finish. The backs are white. 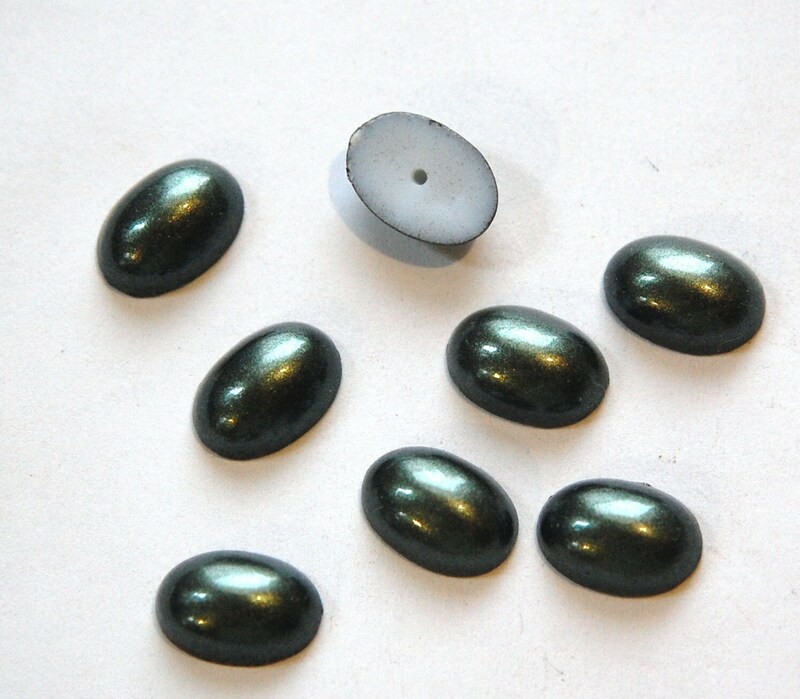 These are domed and measure 14mm x 10mm. You will receive 8 cabs.